What type of Post Hole Digger Hire are you looking for? 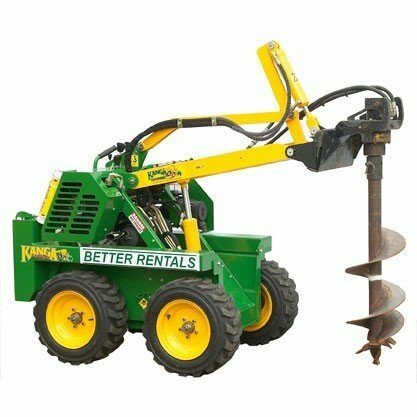 Why hire a Post Hole Digger from Better Rentals? Our Post Hole Digger Hire Rates are all Inclusive. No added extras. EVER. We include everything you could need to complete your job. Damage Waiver – reasonable conditions apply – and GST included. 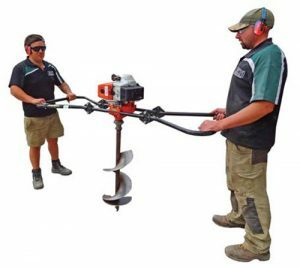 Auger: We include up to 2 different size augers (sorry – just one with an excavator). Trailer: A ramped trailer for safe loading and transport. Fuel: A tank of fuel is included on the small hand held post hole diggers. What happens if the Post Hole Digger breaks down? We’re always open if you require Emergency Service – 24/7. Most “problems” are quick fixes covered in the “How To” guide on the Post Hole Digger. If these don’t work – just call and a real live person will help with info over the phone or deliver a changeover unit (of course there’s no cost to you) if that’s what is required. Choose the right Post Hole Digger or for your job. 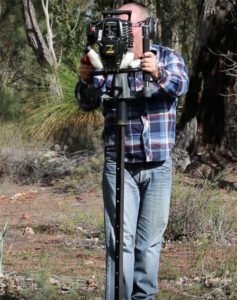 We have a few different sized dingo type Post Hole Diggers. Have a look at specifications below to help select the right Post Hole Digger. 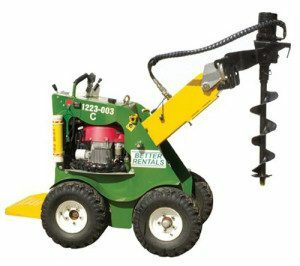 It doesn’t matter if you’re building a retaining wall, putting in posts for a fence or even for a winery, we have a post hole digger suitable. We’ve a post hole borer to suit every job and every budget. What size post hole digger should I hire? * We have extensions to go down 2 metres but they require the auger to be removed for each hole. If you need the extra depth – hire an excavator post hole digger. The auger should bigger than the posts so you can ram the soil back in. Or, a size smaller so you can hit the posts in for a snug fit. An auger which is like “just right” will see the posts wobble after a short period and you’ll be grumpy with us. What about a 2 person post hole digger? If you really need one because of access we can help – but they’re hard work. We’d use a hydraulic one person post hole digger unless you can’t get it into the job. A star post rammer isn’t the most high tech piece of equipment we hire. 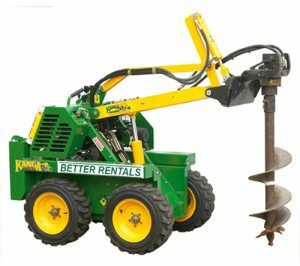 Perfect post hole digger for tree planting – and not much more. 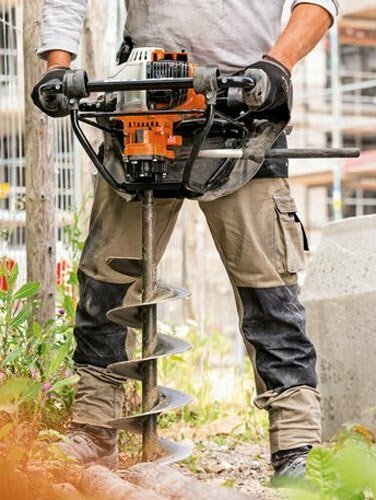 Auger up to 200mm. Hire a 2 person post hole digger only when access is too tight for the one person hydraulic unit. 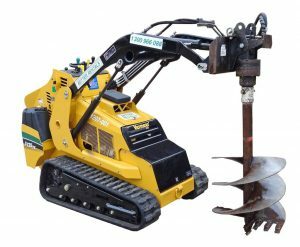 Hire a one person hydraulic post hole digger for post holes up to 350mm. 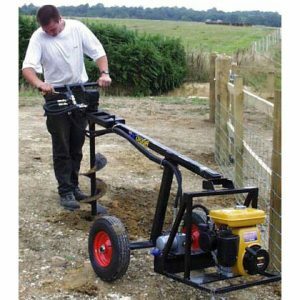 A mini ride on post hole digger for an easy way to dig up to 350mm holes. 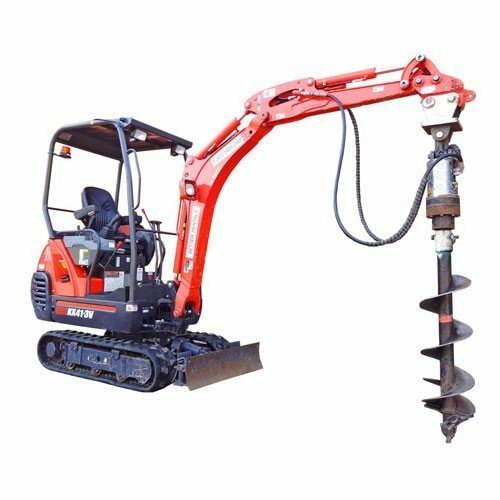 Powerful post hole digger with augers from 250mm to 600mm.